Retired NFL player with suspected CTE dies by suicide a month after fishing trip with Donald Trump Jr.
A former NFL linebacker who believed he suffered from CTE died by suicide this week, his company confirmed. 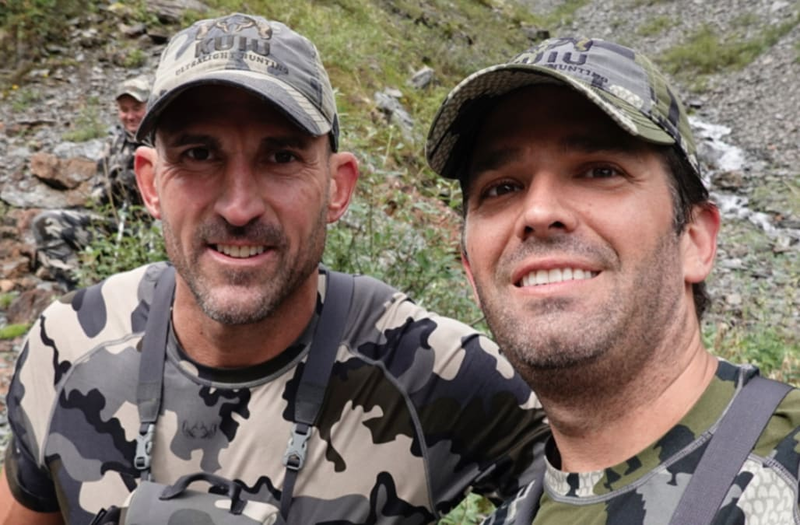 Jason Hairston, 47, founded the hunting apparel company KUIU after leaving professional football and became close friends with Donald Trump Jr. in recent years. The hunting partners went on a fishing trip in Canada last month. “Jason, I have no words. I will always remember our adventures and sharing a campfire with you. They will be some of my fondest experiences in the outdoors. You were and will continue to be an inspiration to all outdoorsmen and women for generations to come,” Trump Jr. wrote in an Instagram tribute Thursday. “Thanks for the friendship and the memories buddy. I’m going to miss you,” he wrote. Hairston’s company confirmed the death on its website. “We are incredibly saddened to report that Jason Hairston, the visionary leader and founder of KUIU, was found dead at his home in Dixon, CA on Sept. 4, 2018. He took his own life,” the statement said. Hairston is survived by his wife Kirstyn and two children. The family asked that anyone wishing to show support make a donation to CTE-related research at the Boston University Concussion Legacy Foundation, the company said. Hairston played for the 49ers and Denver Broncos before his retirement from the NFL in 1996. He later spoke openly about CTE, saying he was suffering symptoms associated with the degenerative brain disease found in athletes and other people with a history of repetitive brain trauma. According to a Politico report last year, Trump Jr. asked Hairston to serve as a liaison between sportsmen’s groups, Interior Secretary Ryan Zinke and the White House.